ST. GEORGE — As more people are hitting the road, police are upping their patrols. Strategically planned to begin before Memorial Day – one of the busiest and deadliest travel weekend of the year – the national “Click It or Ticket” safety campaign began Monday. 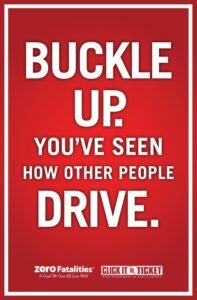 The campaign is a two-week increased seat-belt enforcement period organized by the Utah Department of Public Safety and the National Highway Traffic Safety Administration. From May 23 through June 5, officers throughout Utah will be working more than 1,000 overtime shifts to focus specifically on seat-belt enforcement. Law enforcement agencies will be on the lookout for people not wearing their seat belt. A new law passed last year makes failing to wear a seat belt a primary violation that can result in a $45 citation if anyone in your vehicle isn’t properly restrained. Motorists can be pulled over by law enforcement just for not wearing a seat belt. Previously, the law was a secondary offense for drivers over the age of 19, meaning you could only receive a seat belt citation if you were pulled over for another offense. The seat belt is the most important safety device in a vehicle, reducing the chance of death in a crash by 70 percent, according to the Utah Highway Patrol. But too many people still fail to use it, UHP officials said, adding that failure to wear a seat belt is the leading cause of traffic deaths in Utah. 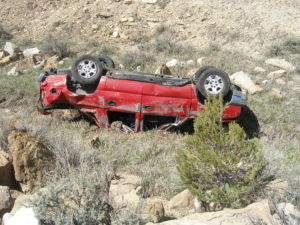 Authorities estimate that nearly 50 percent of the fatal collisions in Utah involve people not properly restrained. “Click It or Ticket isn’t about writing tickets, it’s about saving lives and protecting families,” Utah Highway Patrol Col. Danny Fuhr said in a media statement. 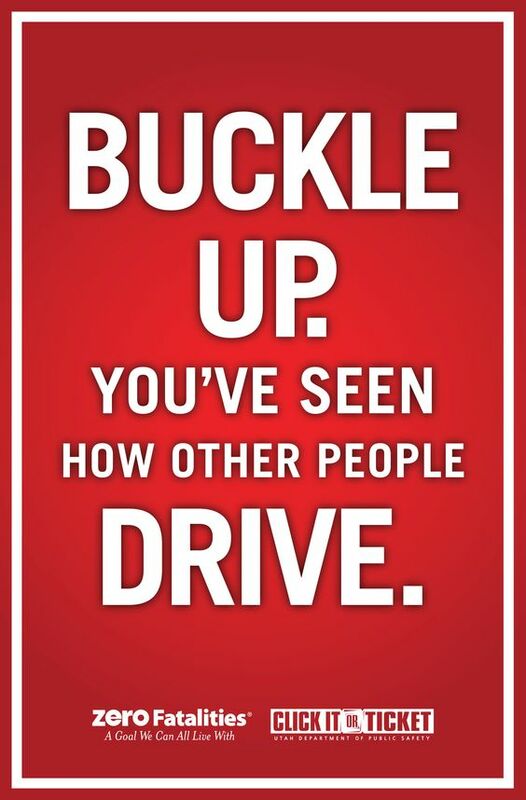 In the first two weeks of May, there were 12 fatal crashes on Utah roads resulting in 15 deaths – eight of those victims were unbuckled or improperly restrained, according to the Utah Department of Public Safety. “The more that we enforce, the more that we educate, the less people will die on Utah roadways,” Fuhr said, adding that two horrific accidents this month show what happens when seat belts are not worn. On May 11, a vehicle rollover on Interstate 70 in Utah – in which none of the occupants were wearing seat belts – resulted in the death of five members of a Nebraska family. 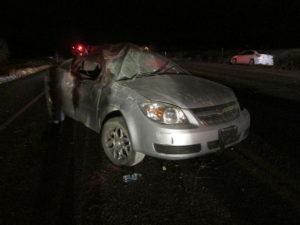 On Sunday, Drex Jade Taylor, an 18-year-old Dixie High School student was killed in a St. George rollover, and his passenger sustained life-threatening injuries and was transported to the hospital via Life Flight. Neither of the teens were wearing a seat belt at the time of the crash, and both were ejected from the car. In both incidents, Fuhr said the crash victims died because they were ejected from the vehicle. Last year, 86 notifications were made by troopers to the homes of Utah families, parents and siblings to inform them that their loved one wouldn’t be coming home. Research states that nearly 1 out of 3 of these lives — if not more — could have been saved had a seat belt been worn, according to UHP officials. “The outcome can be absolutely tragic if we don’t follow the simple steps of wearing a seat belt,” Fuhr said. Hope they catch the texting drivers as well. The ones I see don’t even hide it anymore. They will hold up the cell phone as they text and drive, swerving across the lane. This morning attempting to get on the freeway behind a female driver holding a cup of coffee in one hand and manipulating the cell phone with the other, all the while doing less than 20 MPH on the onramp to a speed limit of 70 whizzing by you. Accident waiting to happen. What a waste of time and money. If you choose to not wear a seat belt, get into a wreck and kill yourself, that is your fault, the government should not be involved. You are responsible from your own actions. If you are driving and texting, and in general fooling with a cell phone, that is a different matter, you are putting others at risk, and you should get a ticket. This includes the police, who I have seen fooling with a cell phone while driving.